My bedroom lamp looks like a regular lamp and it is. It illuminates the room and also matches our decor. 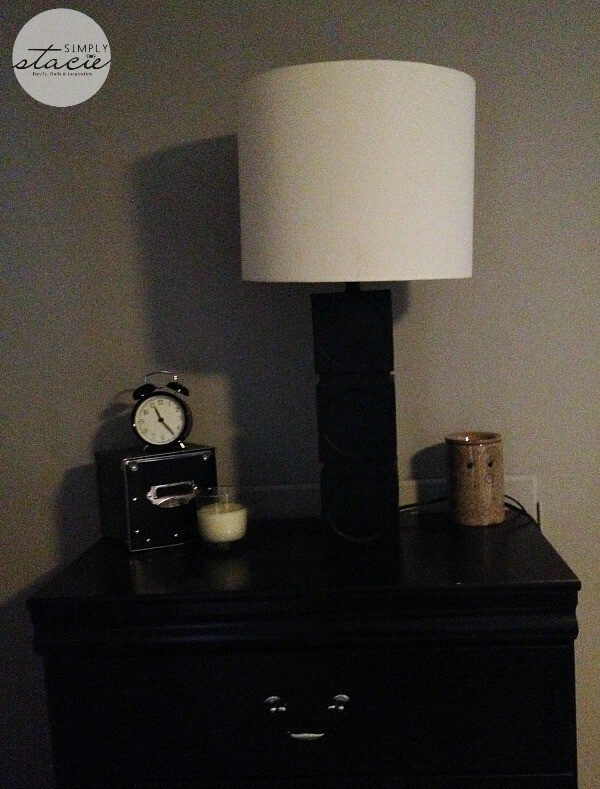 However, lately, the lamp has served another purpose – to play music! Ok so it’s not the lamp itself that plays music. Instead it’s the type of light bulb I’ve got in it. This is not your ordinary light bulb either. I guess you figured that out since most light bulbs don’t also serve as speakers! 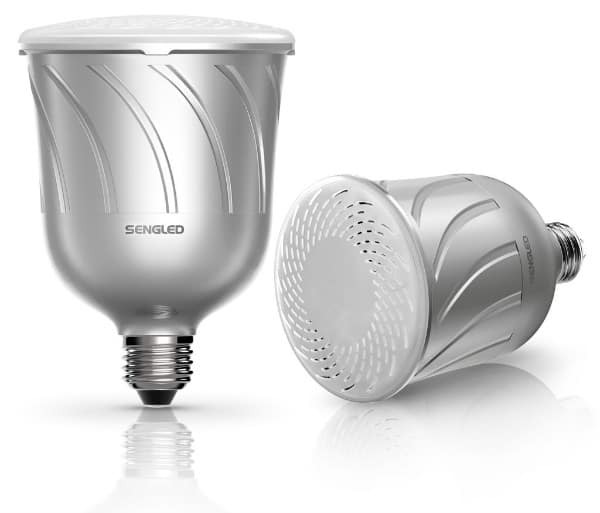 Pulse by Sengled is a long-lasting energy-efficient LED light bulb with a JBL speaker. 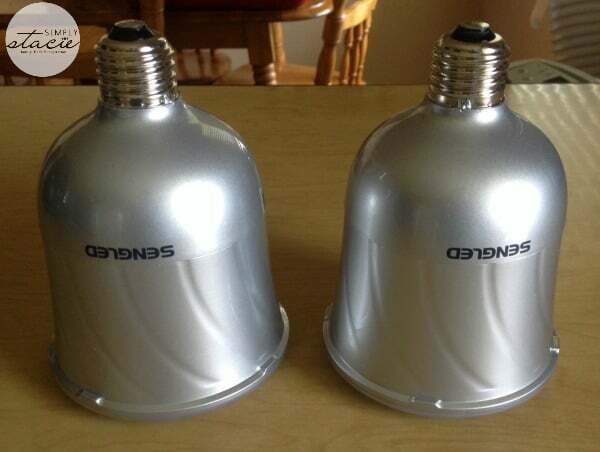 It’s also Sengled’s first product and is new to Canada! I was very excited to be one of the first people in Canada to try them out. The Pulse is screwed into your sockets as normal and they also work in recessed lighting. It’s very easy to install with no wires or remote control. Once you’ve got it in your light socket, simply connect with any Bluetooth device through the free Pulse app (available in iTunes and Google Play) and start listening to music! I have mine connected through my iPhone. I use my iPhone to pick which songs I want to play and can enjoy stereo quality sound from the JBL speakers. Brilliant! Also with the Pulse app, I can control the brightness of the lights and the volume of the music without ever getting up. It’s like magic my daughter says! 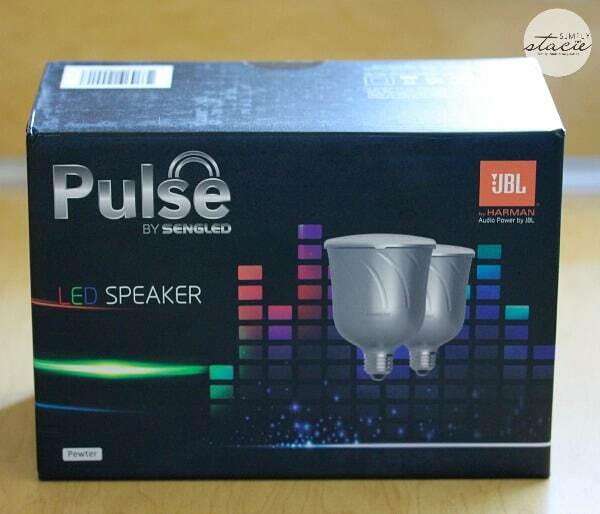 I received a Pulse Dimmable LED Light with Wireless Bluetooth Speakers in Pewter which consist of a two bulb system. 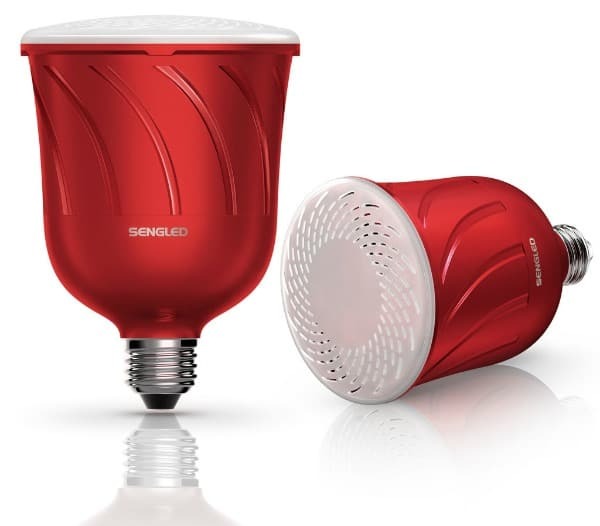 A Master bulb connects wirelessly to the Satellite bulb for surround sound multi-room audio. The bulbs fit in a standard E26 socket. When I initially received them, I thought about putting them in my kitchen. Unfortunately our sockets were too small. I checked the bedroom lamp and the Master bulb was a perfect fit. 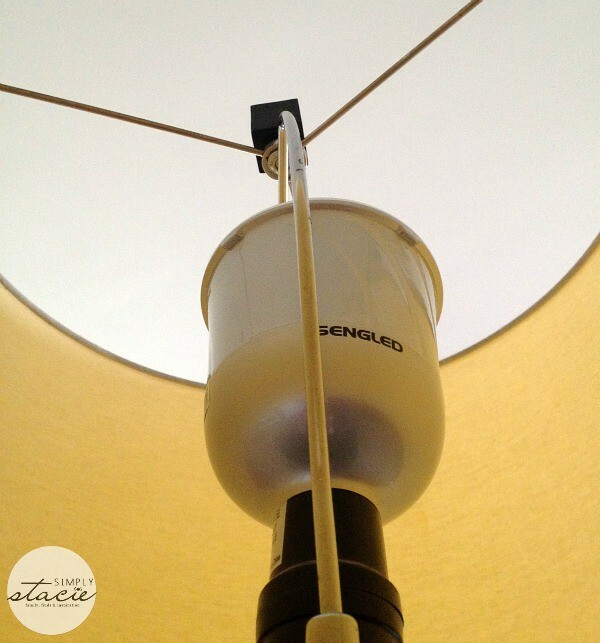 I don’t have the Satellite bulb installed because I didn’t have a light it would fit into. However, the Master bulb does the job fine for me and as we update our electrical in our home, I will find the Satellite bulb a home. I love being able to listen to my favourite tunes in my bedroom as I’m getting ready in the mornings. Music helps me to get up and go! Another neat thing is that I don’t need a space-wasting stereo system cluttering up my dresser. I think it’s a genius idea and glad the folks at Sengled have brought it to Canada! Look for Pulse by Sengled at The Home Depot! You can buy the Pulse as a pair like I have in both Pewter and Candy Apple colours for an SRP of $179.99. Where would you put The Pulse in your home? OK This is so cool! I’d put it in my kitchen. I’d put them in my living room. The recessed lighting in the basement where we entertain all the time. It would be so cool to have a gadget this awesome! I would love to put these in my living room. Perfect for when company comes over and I want some music! Def in my bedroom!!!! Such a cool idea.